Dairy is considered a “grey area” food in the world of Paleo. Because of the rising number of allergies to the milk protein casein, coupled with the lack of enzymes to properly digest lactose, dairy has become something those with health complications tend to avoid. However, not everyone experiences the debilitating symptoms of dairy consumption, raising the question, is dairy good or bad? Therefore, today I will lightly discuss which dairy products, if tolerated, can be part of a healthy diet, along with those with potential health risks. There are two proteins in milk products that pose issues for many individuals; lactose and casein. Lactase, the enzyme required in order to convert lactose into glucose and then galactose, is the necessary component for proper dairy digestion. Infants in particular, thrive off of their mother’s milk, and subsequently have ample amounts of this lactose-digesting enzyme in their small intestine. However, after childhood years, lactase production is essentially reduced and practically stopped. Except for some European, Scandinavian, Middle Eastern, and South Asia descendants, lactose intolerance is almost inevitable, causing mild symptoms in 75% of adults worldwide. Though even the most severe lactose intolerance reactions can be very painful, they are not all together life threatening. Casein on the other hand, is actually a protein molecule almost identical to the structure of gluten. Because of this cross reactive nature, it has the ability to cause autoimmune problems in those with compromised immune and digestive function. Because of the SAD high in grains, legumes, sugar, and chemically altered oils, it does not necessarily take a chronic illness or disease for one to not tolerate dairy, due to these foods naturally wrecking havoc on the GI tract (i.e. causing a “leaky gut”). GMOs, and growth hormones. Since Monsanto’s use of their genetically modified rBGH (recombinant bovine growth hormone), the insulin-like growth factor (IGF-1) linked to various cancers, has rapidly increased the amount of aggressive, milk-duct tissue cancer by 60%. Other consequences of consuming conventionally raised dairy products include a 50% raise in breast cancer risk for pre-menopausal women, and four times the risk of prostate cancer in men. Due to being heavily injected with antibiotics, these inhumanly raised cows also pass down antibiotic resistance to us humans, making our chance of fighting off deadly bacteria slim. Despite all of these scary side effects, GMOs in general have been linked to a slue of health complications, including birth defects, allergies, reproductive issues, infertility, making their consumption clearly unnecessary. Therefore it is very important to know the real history behind any given brand of dairy, regardless of what a label may claim. Because this may take the “convenience” out of a “convenience store,” it is ideal to purchase products locally, where one on one contact with both the farmer and animals is available. 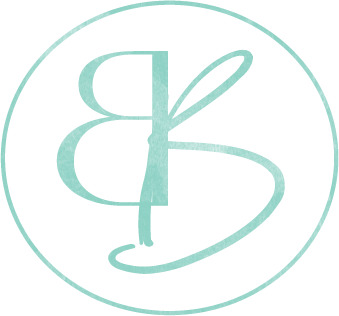 Fat in and of itself is vital for properly functioning cells in our body. Without adequate amounts, cells ultimately suffer, which then results in an unhealthy individual. While low-fat dairy varieties may sound like a good idea when trying to reduce overall daily calories, the problem is not only there lack of fat, but also added sugar and carbs. To put it plainly, food without fat is quite bland. Toast, cereal, pizza, and even rice, are clearly boring without additional fat (i.e. butter, milk, cheese). Therefore, in order to make a product that consumers love, manufacturers add ample amounts of sugar and starch to thicken and flavor the product. This lack of saturated fat also inhibits present nutrients to be absorbed and stored in the body. Vitamins A, D, E, and K, various minerals, along with the conversion of carotene to vitamin A, and many other biological processes resulting from dairy consumption, are all suppressed when fat is taken away. With beneficial fatty acids no longer present, excess insulin and appetite are stimulated, while the once available vitamins pose as pointless. Full fat on the other hand, is chock full of both nutrients and the vehicles needed for the body to utilize them, therefore helping in gene expression, tooth development, dental and skin health, vision, transportation of calcium to where it belongs, and bone density restoration. It also been strongly linked to lowering diabetes levels, cardiovascular disease (which is the opposite low fat varieties), stroke, cancer, and overall body weight regulation (when combined with a proper diet). 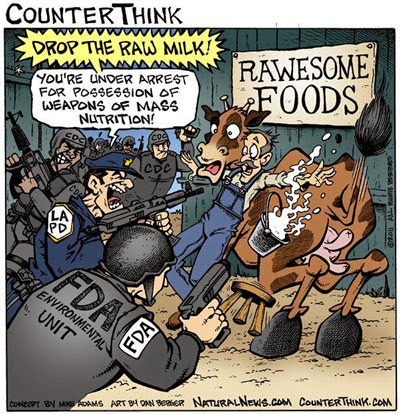 Despite what the government wants us to believe, the risk of developing a food borne illness from raw milk is only 9.4 x higher than from pasteurized products. That may seem like a scary increase, until you put that number into context of relative risk, which makes it only 1/1000th percent likely. This is a much smaller ratio than eating raw oysters, and even more so of simply driving a car. Now, the point of this is not to scare you away from eating or socializing, but rather to shed some light on the fact that raw milk, though demonized, is NOT that risky to eat. So, while you may have a 1 in 6 million chance of actually being hospitalized due to raw milk consumption, the benefits compared to pasteurized milk reign far more supreme than any low risk value. Not only that, but the CDC doesn’t even provide the dataset of which they base their conclusion that raw milk causes startling health issues. However, the information behind other food born illnesses is, showing that dairy in general is the lowest food source of death or sickness. 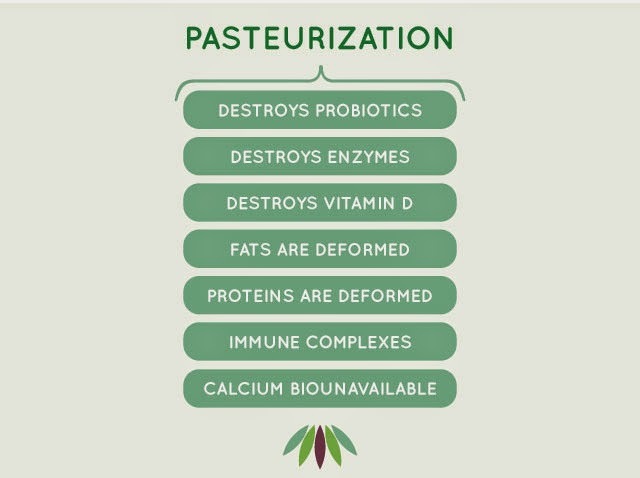 Due to the heating of pasteurization, nutrition in both organic and conventional milk products are reduced, resulting in a decrease of the very things one would be eating dairy for (i.e. manganese, copper, iron vitamin C, B6, etc). The protein beta-lactoglobulin is also destroyed, leaving the vitamin A added to milk unable to be fully absorbed. Though organic varieties are one step up from conventionally raised products, they are still commonly fed a diet high in grains. This imbalances the omega 6:3 ratio in animals considerably, which then gets passed down onto us humans, making inflammatory markers rise. Much like meat, the term “organic,” is used very loosely when it comes to dairy, allowing manufacturers to still implement some of the same feeding practices. Regardless of if you are worried about raw dairy putting your health at risk, the real reason raw milk should naturally be one’s first choice is simple; taste. Creamy, flavorful, rich, smooth, and satisfying, are all things that can be likened to raw milk (not pure white, thin, and watery store bought varieties). 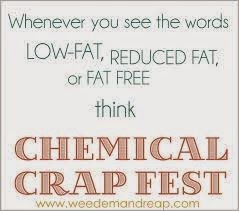 This can also apply to all raw cheeses, yogurt, and fermented kefir products. You will not see raw milk on any regular store shelves, but rather at a local farmers market or CSA. Because raw milk can only be sold and produced close to the farm itself, the purchase is well worth the money spent due to supporting a family owned business. This simultaneously grows the town’s strength and foundation as well, making for a well connected, flourishing community (much like purchasing local meat and produce). Local farms also use sustainable, environmentally friendly methods, which is quite the opposite of industrialized dairy production. Instead of polluting the air, water, aquatic life, and subsequently the health of all individuals in and around the area, cows are well-managed and raised in pastures, which actually increases water quality and soil fertility. Confinement, abuse, mass breeding, and constant injection of antibiotics, hormones, and pesticides, are all things proven to be completely unnecessary in animals grazing off of open pastures (their natural habitat and diet). It has also been extensively studied in Europe on how raw milk may very well protect against asthma, allergies, and various immune-mediated disease, when drunk during childhood years. Though dairy does contain essential fatty acids and vitamins, eating it everyday is not needed to get adequate amounts of these compounds. Therefore, it is important to proceed with caution, especially if you suffer from any health complications. Gut health is one of the first things to be compromised in an illness, making a harmful immune response or allergic reaction very likely with dairy. The fermentation of lactose can also pose as a significant source of gas, bloating, constipation, diarrhea, and overall GI inflammation due to an imbalance in bacteria. Therefore, though dairy can be a good source of calcium, protein, and minerals, it is not all together necessary, due to there being many other staple Paleo foods much more nutrient dense. If you are one suffering from a chronic illness, or a resulting leaky gut, it is a good idea to avoid dairy until further healing to avoid any extra damage. However, I am not saying dairy should be avoided by everyone at all cost, especially since locally raised options are both tasty and nutritious. In the end, grass-fed and raw varieties (which are high in fat soluble vitamins and CLA), and fermented dairy products high in probiotics and protein (glutathione and whey), are ultimately the best options whether it be yogurt, milk, cheese, or butter. If raw is not available, buying organic is better than toxin ladened, conventionally raised products (though not ideal), while low-fat, skim, non-fat 1-2% milk products should always be avoided, as they are simply excess and unnecessary forms of sugar and carbs. As for my own personal experience, minimal amounts of raw, sheep or camel yogurt, and raw, aged goat and sheep cheese, are what I can handle best. However, I must be very aware as to how much I intake per serving. Raw, sheep kefir, is another way I like to get needed probiotics into my diet, without having to take another supplement in pill form. I also find that taking the “Say Yes to Dairy” lactase enzyme, which is a natural version of drugstore’s “Lactaid” pill, also helps if I experience congestion or acid reflux after consuming dairy products. Growing up, my mother never had us drinking dairy milk, however, she now enjoys buying raw milk from a few different local farmers. It is so delicious, even my 15 year old brother can attest to how much tastier it is than standard, store bought dairy. Overall, ones tolerance is dependent solely on the individual, yet keep in mind, the enzyme production used to digest lactose is quite reduced as one ages. Though there may be a small space for raw, grass-fed dairy, the majority of dairy products sold in the grocery store are just as unnecessary as the grains that contaminate most all packaged foods. Picking up a few, local cheeses at your town’s farmers market is completely acceptable, especially since you are supporting a local farmer. However, stocking up on processed, store bought, and (or) sugar ladened varieties is anything but necessary. Above, I have included Mark Sisson’s chart to help you gage where dairy intake should fall for optimal health. Ultimately, dairy should be seen more like a condiment, flavoring, or “side” ingredient, rather than the main focus of one’s overall diet. 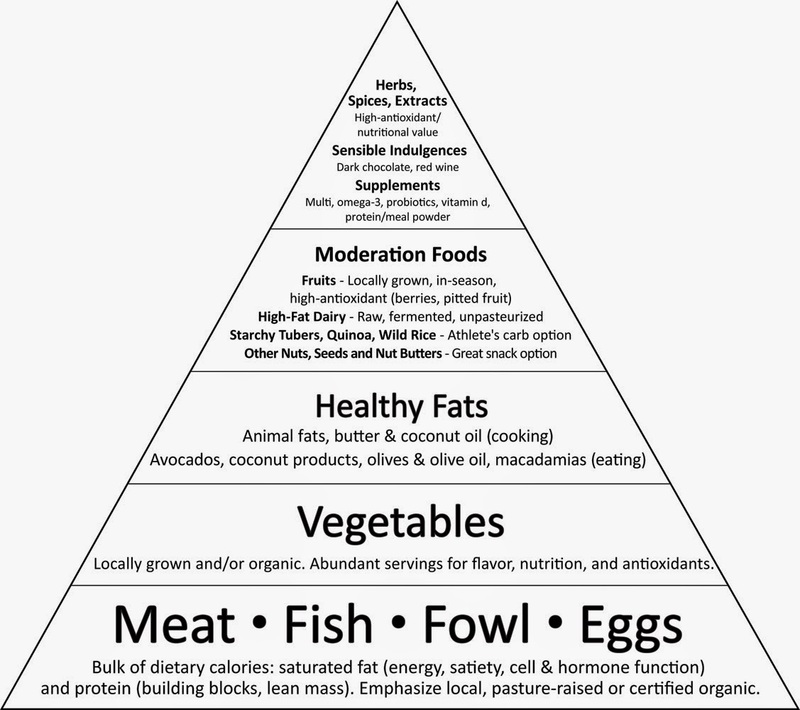 Is Full Fat Dairy Paleo? I noticed you are using one of my cartoons (the one about bovine growth hormone) in this article. I’m honored that you decided to use my work on your site, and I’m glad that the cartoon helped you to illustrate this great article! I was wondering if you wouldn’t mind adding an attribution link back to my website: https://humoresquecartoons.com either as simple caption under the cartoon, image link, or in the content of your article? It would be very much appreciated!